This certified Australian Standard AS3547 breathalyser helps you take an informed decision on whether or not to drive after a big night out. 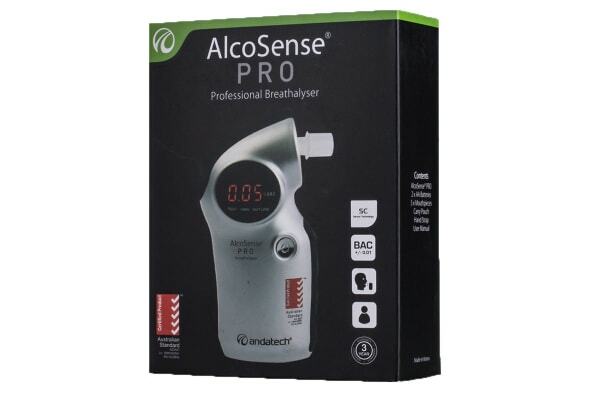 Using advanced semiconductor technology, the Andatech AlcoSense Pro Personal Breathalyser gives you accurate blood-alcohol readings. It can be operated in two different modes based on the requirement. 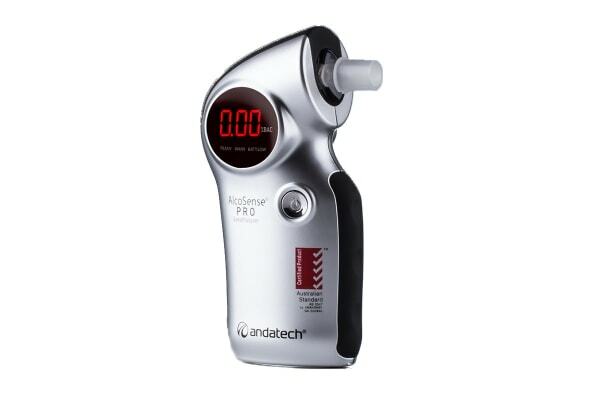 The Normal Mode is for personal use with the mouthpiece giving you your accurate reading. In the passive mode, it can be used without the mouthpiece by multiple people simply by blowing into the unit! Its automatic counter keeps track of and shows the number of times that the unit has been used, and it ensures accurate results each time with an advanced error check technology. With so many checks in place, this device is extremely useful, accurate and cost-effective. 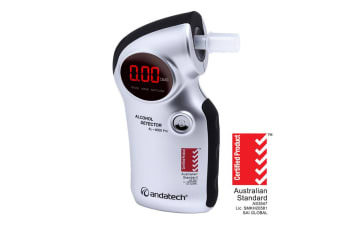 After thorough testing, the Andatech AlcoSense Pro Personal Breathalyser has been certified to Australian Standards AS3547 and also has registered CE approval, DOT approval and FDA approval. It works. I thought product would actually show a reading in numbers, but only shows if nil, low, or high. So, a little disappointed. The breathalyzer I bought gives me confidence to know when I am under the limit and can drive safely, very important to me.